Is it your dream to make a platform for a fantasy sports game to play online leagues and earn money? Then you’re at a right place. Nowadays, demand of fantasy sports app development is on top of the world. Every businessman wants to create an app like Dream11 for their sports like cricket and football. What is Fantasy Sports Basically? Fantasy sports is a game, which allows users to play a virtual game by selecting their own team with real players to play in a league. With the help of fantasy sports, users can also win real cash prizes. The winning will be depend upon the performance of selected players. In recent years, market of fantasy sports is growing rapidly all over the world. This business is preparing up to break all the market records as it comes to drawing in sports fans and testing their insight and abilities in sports. Right now in India, Indian Premier league (IPL) & Indian Super League (ISL) running their own fantasy league. So in future you may never realize that soon all sports leagues in the country offer their own one of a kind fantasy leagues to their fans. 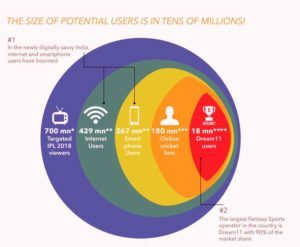 According to report from IFSG-AC, more than 16 crore cricket fans in India are known about fantasy sports. With 1.8 crore users (growing day by day), Dream11 is the biggest sports fantasy game in India. From last 2 years, a rapid growth has seen from 2016 to 2018 with 2 million to 20 million users. Researcher found that, users spends at least 42 minutes a day from their time to play fantasy games. Dream 11 is one of the fastest growing fantasy cricket league platforms which is based in India. It is available as an application or in website form as well. Dream11 is a very popular sports fantasy app in India that allows users to play fantasy games like Cricket, Football, Hockey, Kabaddi and many others. 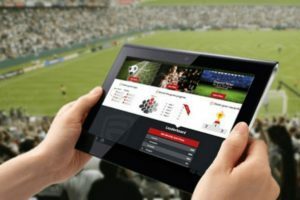 If it’s your fantasy and you want to start a Fantasy Sports App Development project based on a sports application for cricket so you can take as a target app like Dream11.com or Myteam11.in. There are many sources and companies available who will make you sure to develop a fantasy sports app. But before going on you’ve to know about the features and cost of development for your app. In this article, we will discuss about the advance features which will help to make your app popular in the market. • Need to integrate with the live score API. Coupons, Offer management, manage static HTML Pages and blogs. SO if you are looking for Fantasy Sports App Development Company, Tech pathway surely helps you in that. 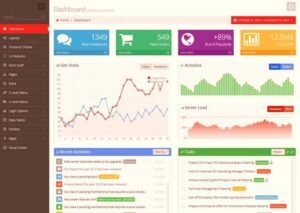 You don’t need any kind of license to create a website like that its just required for a great website development experience or great experienced team, you just should be very clear in your mind before coordinating with a developer which server side scripting language you want choose HTML, CSS, JS, SQL because you need to be set a certain skill to develop your website. The cost to develop an app like Dream11 will depend upon the functionality of your app and this will also depend upon the time to develop your application. In India, sports fantasy app development cost you around $3000 to $5000 and in USA, it will cost your more around $5000 to $8000. This is only a approximation about the cost as it can vary as per customer requirement or features. What’s up, every time i used to check website posts here in the early hours in the daylight, for the reason that i like to learn more and more. between user friendliness and appearance. I must say you’ve done a great job with this. Fastidious answer back in return of this matter with firm arguments and telling everything concerning that. The clarity on your put up is just excellent and i can think you are an expert in this subject. Thank you for sharing this amazing Blog. We all know about the leading fantasy sports platform Dream 11. Sports app platform like Dream 11 is all about passion, fun, excitement, anticipation and most importantly rewards in term of bonus and cash prizes a sports lover can achieve.